Given the recent legal decision on March 27, 2019, the Kentucky HEALTH program will not begin on April 1, 2019 across the Commonwealth. Read the Cabinet for Health and Family Services statement about the legal decision. Read the Program Update & FAQ Document for more information about Kentucky HEALTH go-live. If beneficiaries have questions about their benefits and coverage, they should contact their Managed Care Organization (MCO). Click one of the icons below to explore the information and resources available for different groups who may be affected by Kentucky HEALTH. If you are in Medicaid, click here to learn more about Kentucky HEALTH. If you are an individual or organization who works with Medicaid Beneficiaries, click here to learn more about Kentucky HEALTH. If you are healthcare provider, click here to learn more about Kentucky HEALTH. If you are with a business or community organization, click here to learn more about Kentucky HEALTH. Kentucky HEALTH is not a one-size-fits-all program. Click here to take the Eligibility Finder and see how you may fit into Kentucky HEALTH. 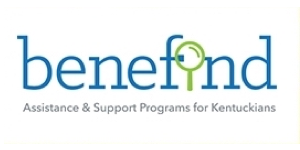 benefind is for Kentucky HEALTH beneficiaries to check and manage their benefits. Citizen Connect is for Kentucky HEALTH beneficiaries to report their PATH Community Engagement hours and take free online courses to earn My Rewards dollars. Business Connect is for organizations to post community engagement opportunities (including health workshops, education courses, trainings, job fairs, and volunteer opportunities). Kentucky HEALTH is a comprehensive, transformative program that empowers Kentuckians to improve their health and well-being, while making sure Medicaid is financially sustainable.